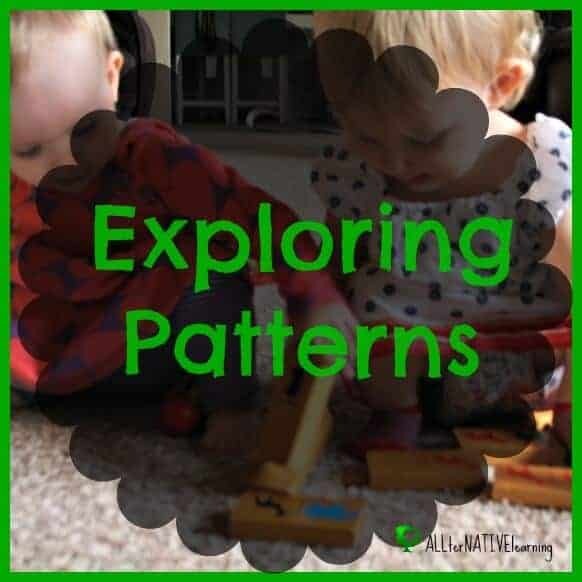 This past week in tot school, I had the opportunity to introduce and teach patterns to my almost 15 month old. 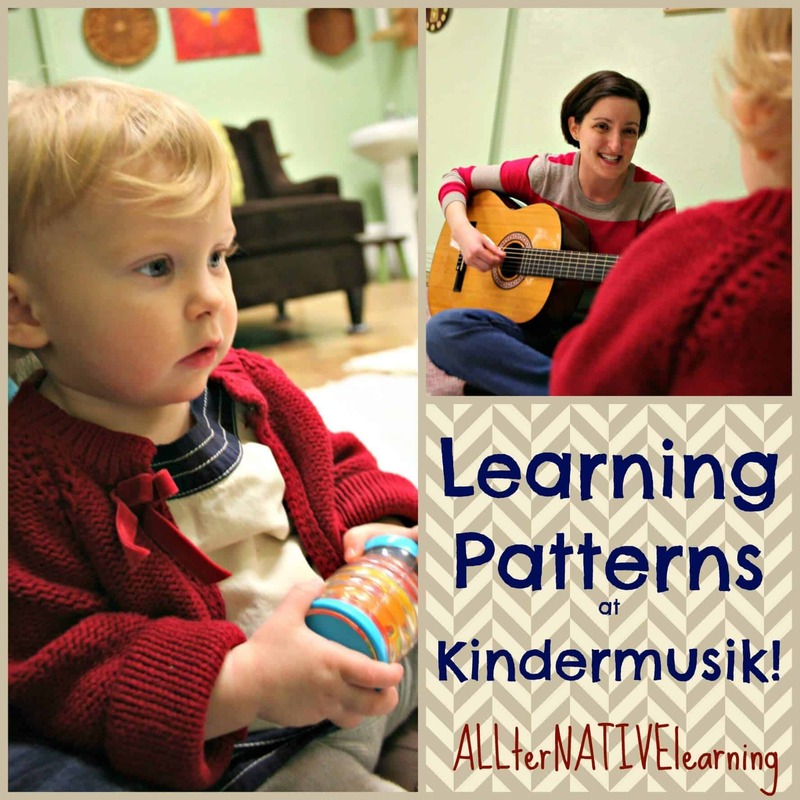 The beauty of being able to teach patterns is that our entire lives revolve around them! What I mean by this is that the basic definition of a pattern is something that repeats and an anticipation of what comes next. Please note that there are affiliate links to supplies, toys, and materials used in our home for this theme. Anything that you purchase through these links helps provide for my family. Thank you for choosing to support us! If you used stencils last week, keep them out! Make patterns like tracing shapes inside of each other, showing big to small. You can also do sequence patterns by tracing different shapes. My sister-in-law did a shape activity with her kids that she draw dashed shapes and her daughter traced and filled in the blanks. If you do this with different color pencils, there’s an alternating pattern color! We used a bead lacing game from Melissa & Doug and created different patterns by lacing them on the string. Ring Stackers are still applicable because of the color order they go in and how they are placed in size order. Our favorite one to use this week was the one from IKEA. We did variations and put them in size order upside down, where each piece was biggest to smallest, where the pieces were smallest to biggest, etc.. Here are just a few of the wonderful books that we read through the week. We explored many different types of patterns from rhyming books to books that explored patterns in consequences. 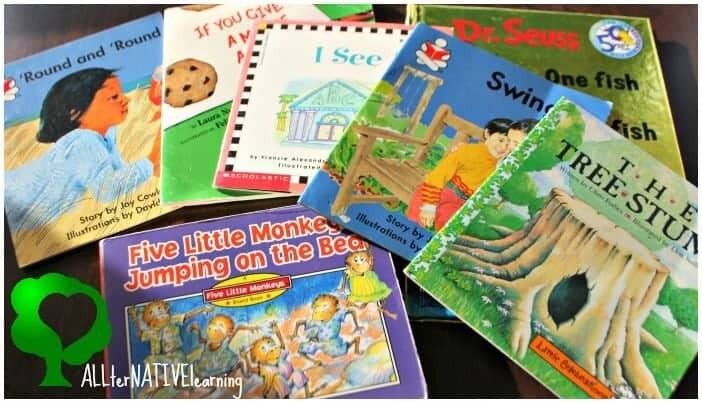 Dr. Seuss books are obviously the most popular books that you can use to teach patterns in terms of rhyming! We also love the book If You Give a Mouse a Cookie. It was great for this theme because it taught consequences and patterns of behavior. There are also several books just like it from Laura Numeroff that are just as appropriate and cute as well! The Tree Stump (Let Me Read) – This book teaches in an out as well as consequences. It’s also a great book for emergent readers! Five Little Monkeys Jumping on the Bed – This one has great patterns in rhyming and in consequences! Round and round (The story box) – Another great emergent reader book. Discusses the pattern of around and around and also the consequences of spinning! Cities are great places to explore patterns! 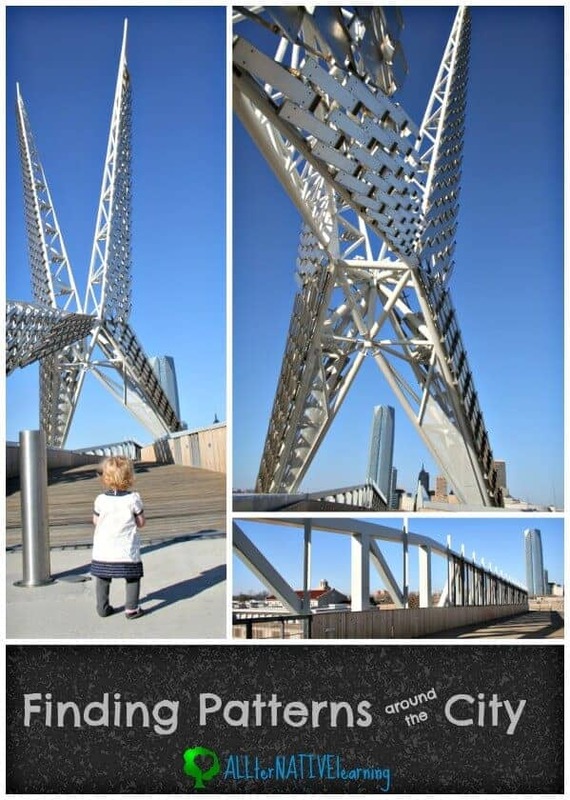 In Oklahoma city, we have lots of bridges, sculptures, parks, and more than have great patterns in them. This makes a fun day to get out of the house and look more closely at the city or town in which you live. 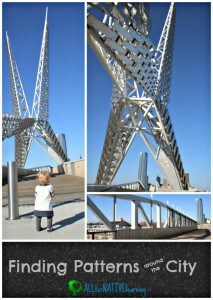 Baby bun loved looking at the shadows on the bridges the most! 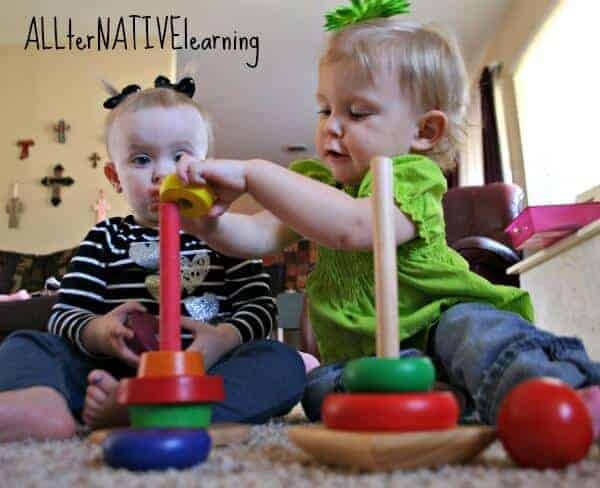 The same Melissa and Doug shape game from last week, is great for this week! It’s called Melissa & Doug Shape Pattern Blocks and it’s great to use before going on an adventure outside. The pattern blocks help show the patterns of shapes and where we might expect them in what we see everyday. 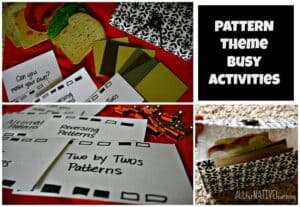 Find more activities and ideas to teach patterns from Education.com. 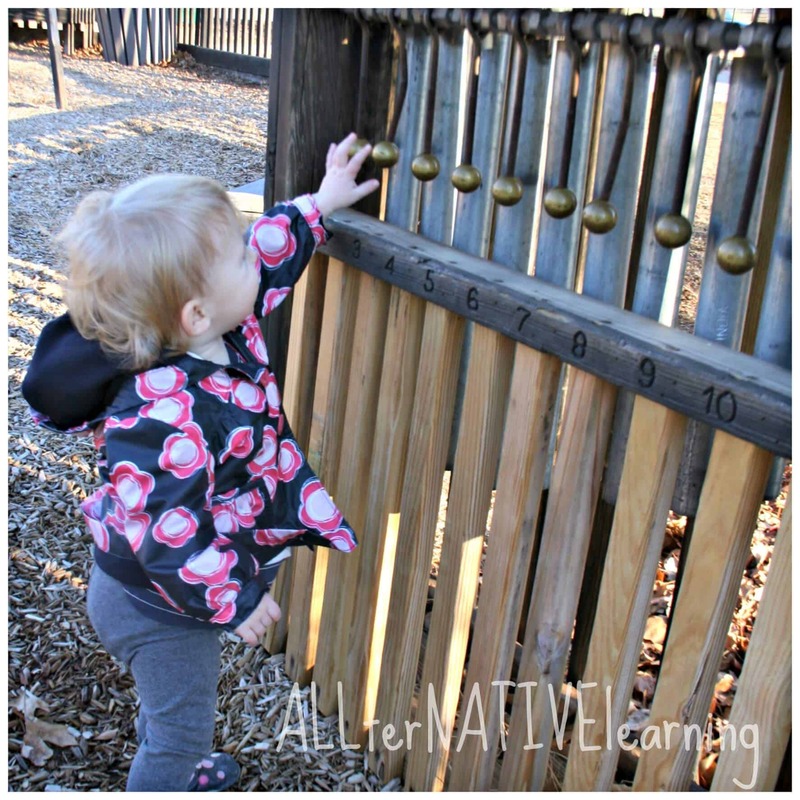 There are lots of ideas from weaving to making wind chimes! We had lots of ideas for pattern busy bags. We loved using our sandwich coasters (teaches the pattern that food is layered between bread). 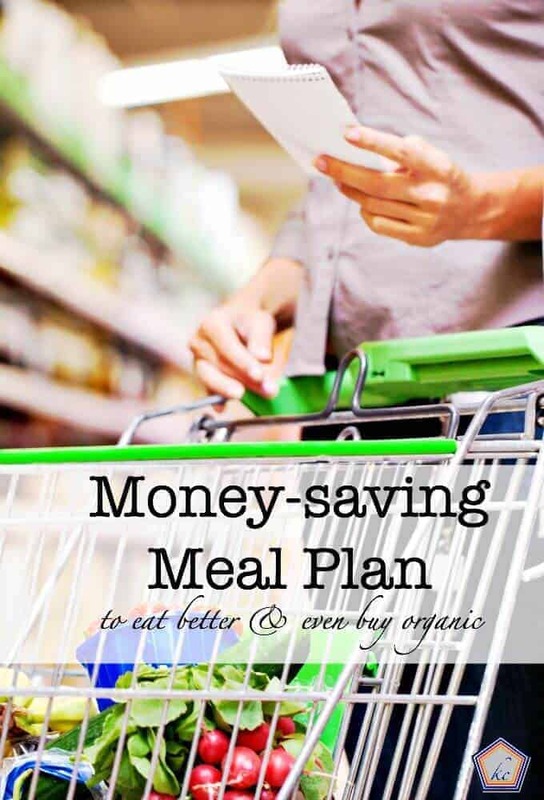 See more ideas by clicking the link above or the picture. Bible verse of the week: Romans 12:12 “Do not conform to the pattern of this world, but be transformed by the renewing of your mind. 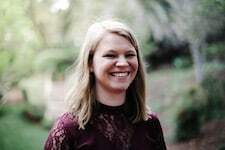 Then you will be able to test and approve what God’s will is—his good, pleasing and perfect will.” We discussed how we were to live differently from the world and not the same like a pattern would suggest. Patterns with colors, Patterns with shapes, etc. Use pattern blocks like the Happy and Blessed Home did and create all kind of patterns of your own! Read books that rhyme, write a poem together, etc. When eating, try to find words that rhyme with each food. Keep a beat on drums. Change the beat and pattern. Find buildings and look at their patterns and symmetry in shapes. Find a park. 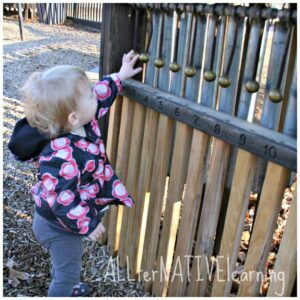 Ours had patterns in music (pipe xylophone), up and down/ back and forth (swing), and others. Find more information on themes we have already completed and download the calendar & planner to start today! Patterns are all around us! This is a really great lesson plan. Thanks for sharing via Family Fun Friday.